I began my work at the College’s Equestrian Center in May 2016. Every weekday I arrived at the barn around 7:30 am, tacked up Donna, the horse I lease, and took her for a ride. Nothing beat my mornings with Donna and I always tried to end our rides with a cool-down walk around the grounds. I cherished these quiet, peaceful moments together. Photo courtesy of Jayson's Photography. Afterward, I spent the rest of the morning working for Paula Pierce, the Equestrian Center’s director. With Pierce’s guidance I developed my knowledge of horses and my understanding of how the equine industry works. I groomed and tacked up horses, practiced new training methods, explored the intricacies of horse-feeding options and dietary plans, and learned how to prepare for riding clinics and competitions. At lunch I would make my way inside the Equestrian Center’s lobby (ah, sweet air conditioning!) to spend the rest of my day working alongside the marketing and events coordinator, Sharyn Antico, as an intern. This portion of my summer was the focus of my Lynk internship, as required by my Nexus concentration in journalism, media, and public discourse. A little-known fact? Communications and event planning are key aspects of the equestrian world. 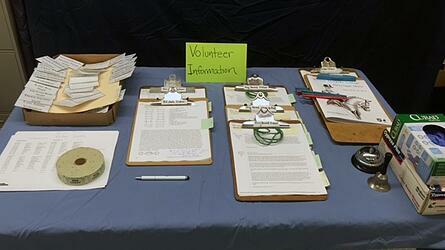 For one of my tasks, I helped plan and run our nationally recognized summer dressage show. At the show, I witnessed dressage riders from across New England strut their stuff, decked out in nearly luminous white breeches and elegant black shadbelly coats. I was dazzled by several horse-and-rider combinations as they pirouetted and passaged around the arena. One rider even completed a Grand Prix test, the highest level of competition that a horse and rider can reach in dressage. 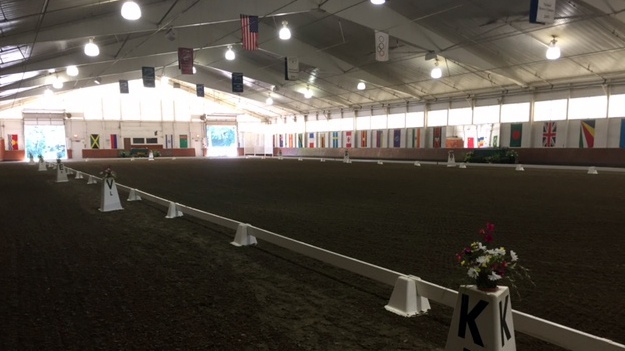 The Mount Holyoke Equestrian Center’s indoor arena, groomed and competition ready. At this particular show, however, my role was not to compete but to coordinate, organize, and lead a group of phenomenal volunteers. 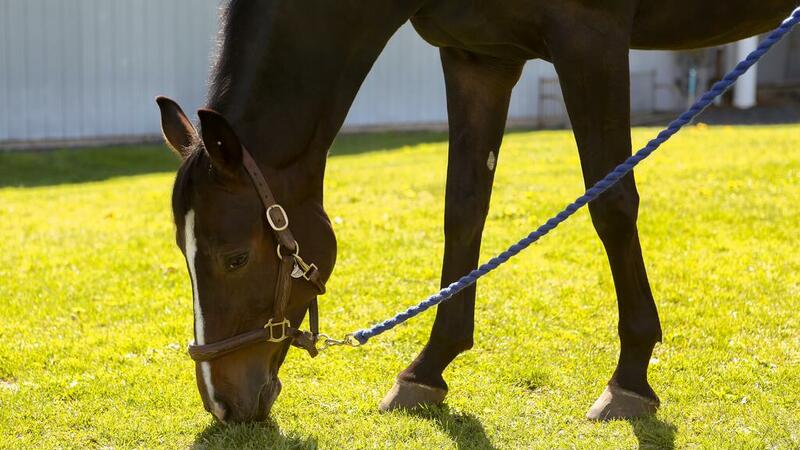 They ranged from members of a local 4-H club to Mount Holyoke riding instructors and students. I spent the two competition days clad in a neon- green volunteer shirt helping to make sure that the show was running smoothly and that the volunteers understood—and enjoyed—their roles. I also wrote and submitted advertisements and short pieces to local equestrian publications, such as Massachusetts Horse. I updated the Equestrian Center’s Facebook and Instagram pages. I helped coordinate facility rentals and events, and conducted other various intern tasks: data entry, organizational projects, and the occasional fixing of a fence. This internship was everything I had hoped it would be—and more. Not only did it let me do what I love, it let me combine the two things that I love. At every point of the summer, whether I was riding, traveling to competitions, working at my desk, brushing horses, or coordinating volunteers, I knew that I was learning. I was also paving the way for my own future—and my dream career—while contributing to the success of the Equestrian Center. While it might be easy to limit yourself to the belief that you can only pursue one career or one interest, if you have two passions that you want to make room for in your life, I say, go for it. Who’s to say you can’t combine knitting with neuroscience, politics with Pilates, or communications with horses? During my summer experience, I learned that I absolutely can pair the two disparate things that I love in a way that fulfills my career aspirations. Mount Holyoke continues to give me the opportunity to pave my path. 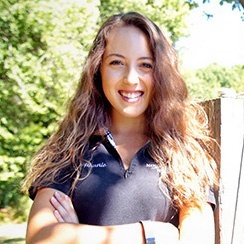 Stephanie Calas ’17 is from Bar Harbor, Maine. She majors in English with a Nexus in journalism, media, and public discourse. 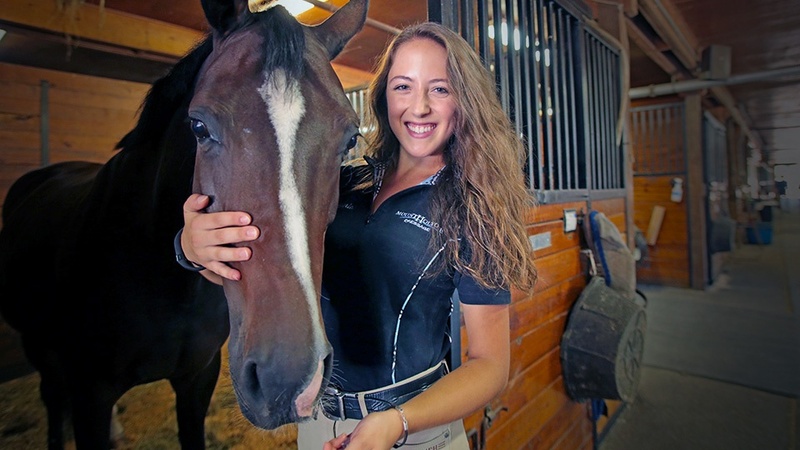 She has been a member of the Mount Holyoke College dressage team and currently works for the College’s Equestrian Center.